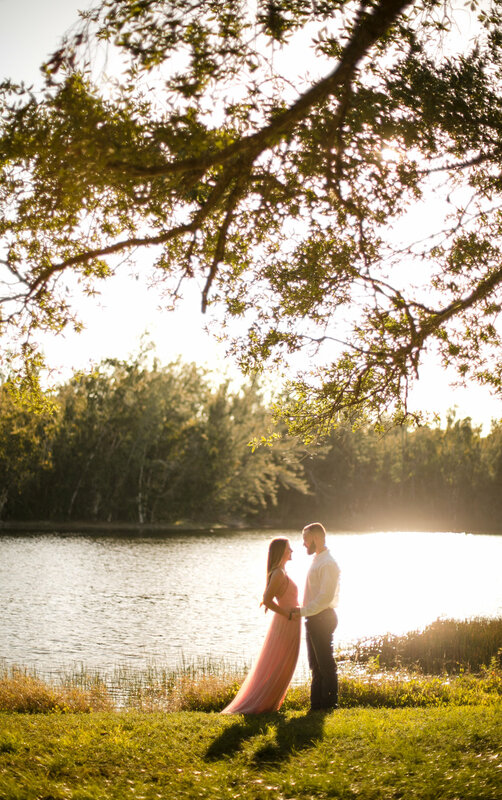 Johanna & Ryan’s engagement photo shoot at Tree Tops Park in Davie is on the blog! With Johanna & Ryan’s wedding day just around the corner (it’s literally in 3 days!) I thought it would be fun to give you all an insider ’s look at their engagement photo shoot! 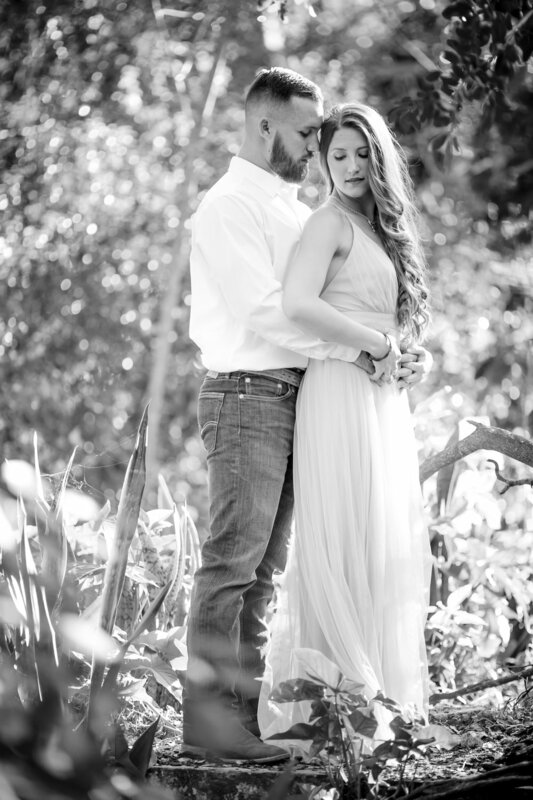 My bride and groom to be will be celebrating their upcoming wedding day at The barn at Paso Fino, which is an elegant farmhouse venue on a sprawling stretch of land in Lake Placid, FL. It would come as no surprise that Johanna & Ryan’s style for their engagement photo shoot can be described as ‘rustic flair’. The bride and groom added in some of that style to their shoot when they each showed up at Tree Tops Park, wearing cowboy boots for their session! Johanna wore her cowboy boots underneath her long pink flowy dress as she snuggled up close to Ryan on a wooden bridge, so adorable!. Ryan brought along his cowboy hat which he wore for a few shots, and in between Johanna carried it in her hand! Keep scrolling to see more of Johanna & Ryan’s Engagement Photo Shoot at Tree Tops Park! 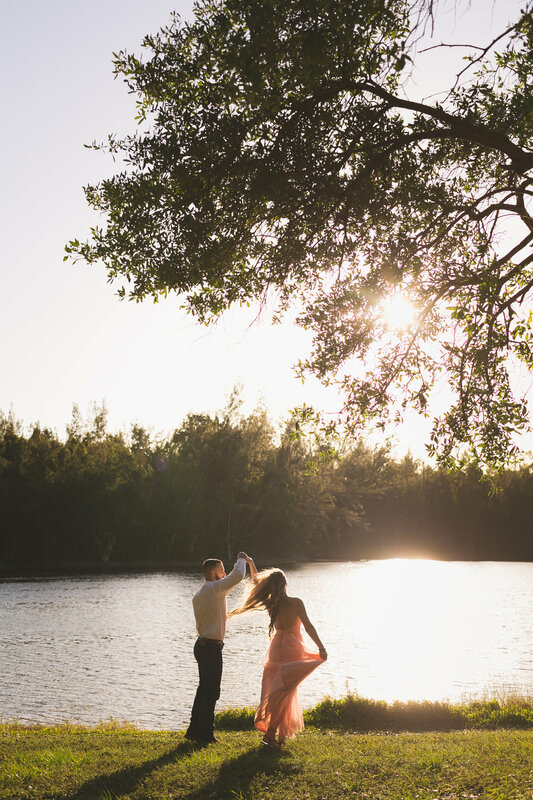 Searching for a Miami Wedding Photographer who is invested in capturing the love & joy of your engagement photo shoot?